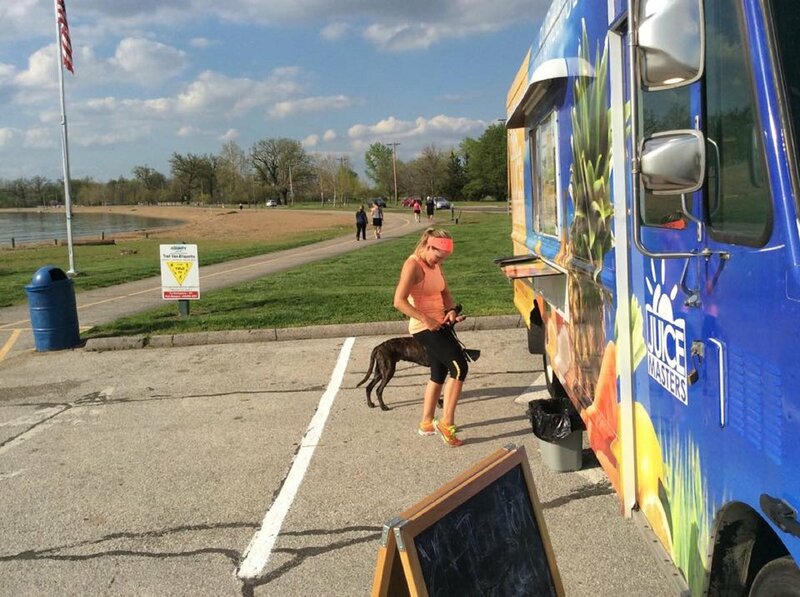 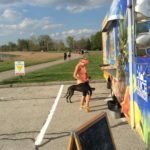 He seeks to provide healthy, nutritious options at local parks, festivals and events via tasty and convenient fresh juices and smoothies. 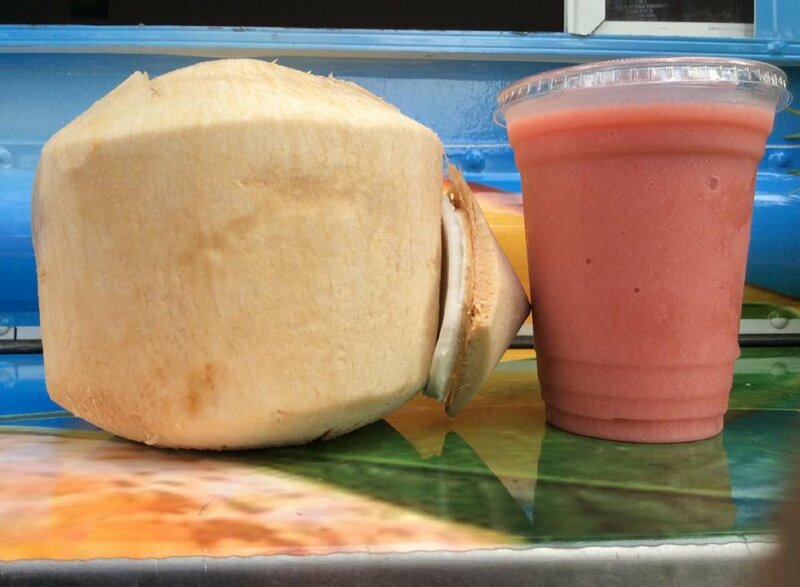 In fact, he supplies pure vegan beverages as well. 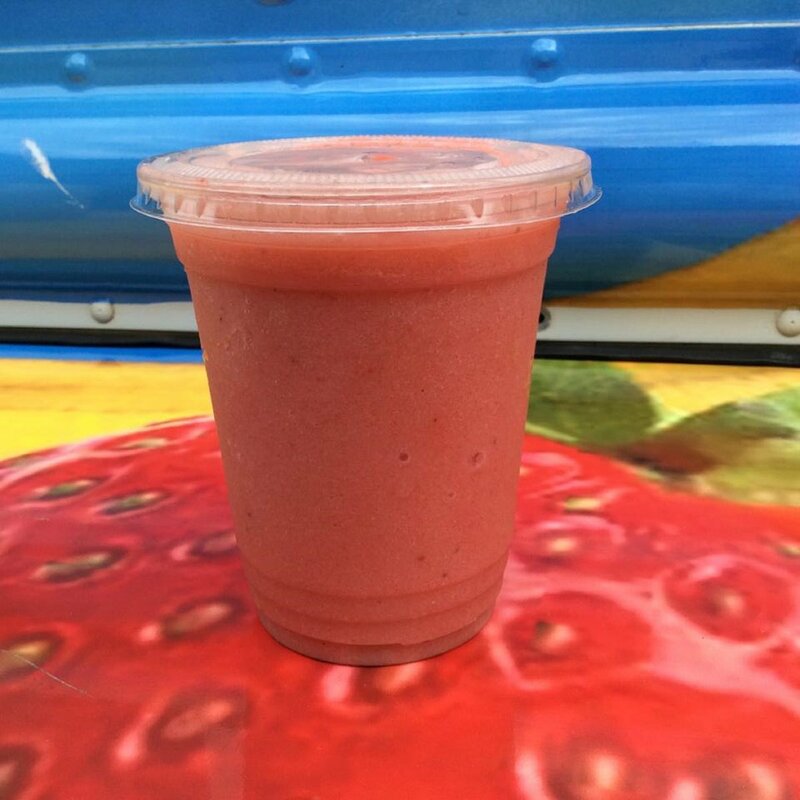 “We work with local farmers to ensure the freshest seasonal items make their way into customers’ cups. 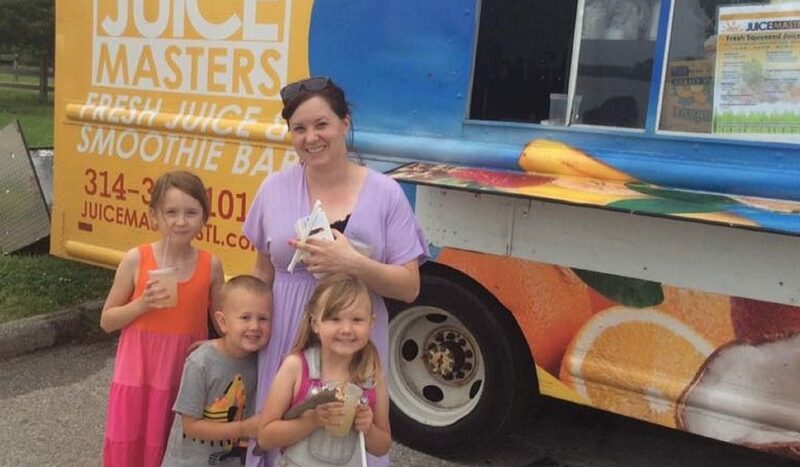 We support the work of local merchants to provide consumers with delicious, sustainable products that we can all feel proud of,” Corey says. 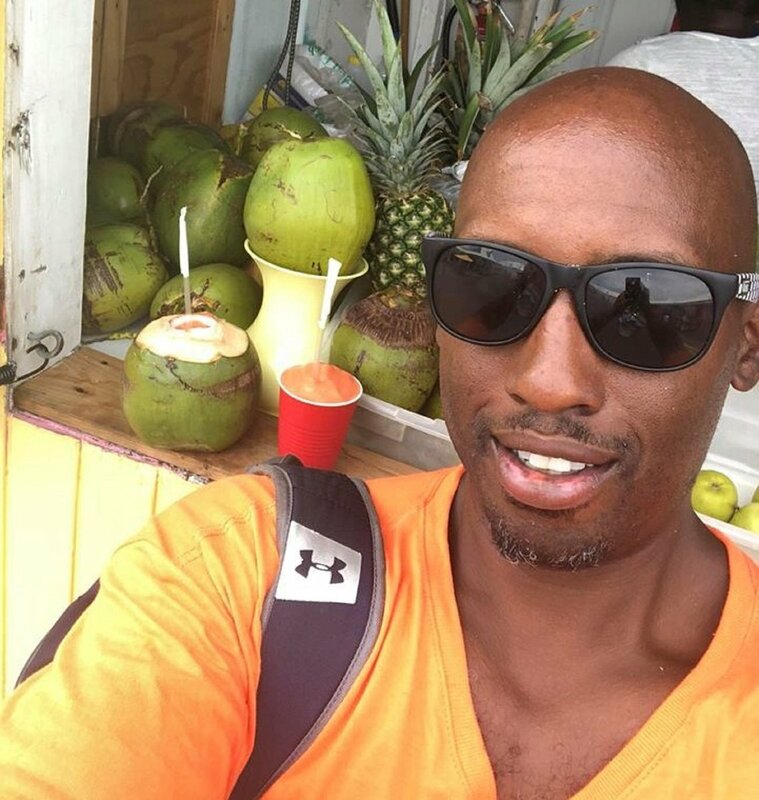 This entrepreneur says he’s long been a foodie who made beverages for his family. “My stepson became sick with lymphoma, and liquid nutrition was the simplest way to get him nutrition. 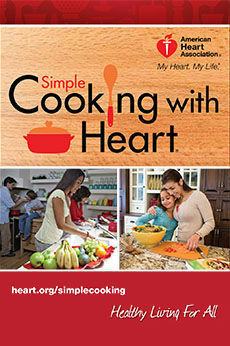 I began to research health and wellness,” he explains. 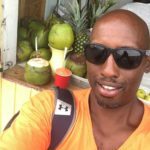 By 2005, Corey picked up work as a juice bar clerk at the Wild Oats health food store in Ladue so his family could benefit from the employee discount for natural and organic food items. 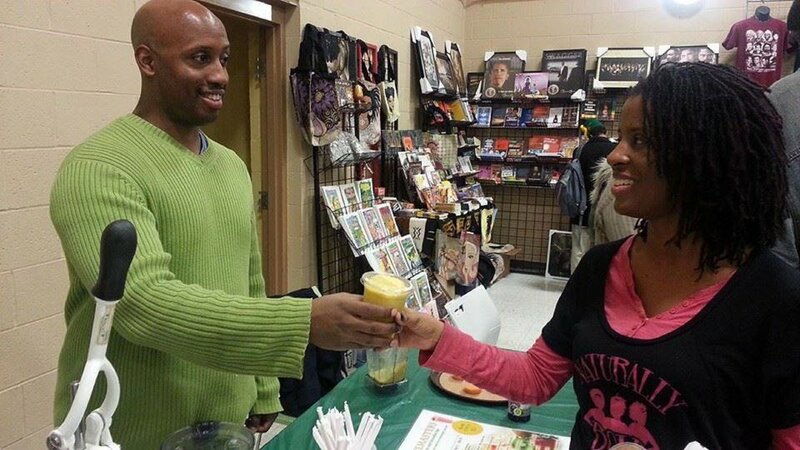 “I enjoyed making these healthy beverages and honed my craft of smoothie and juice bar prep,” he adds. 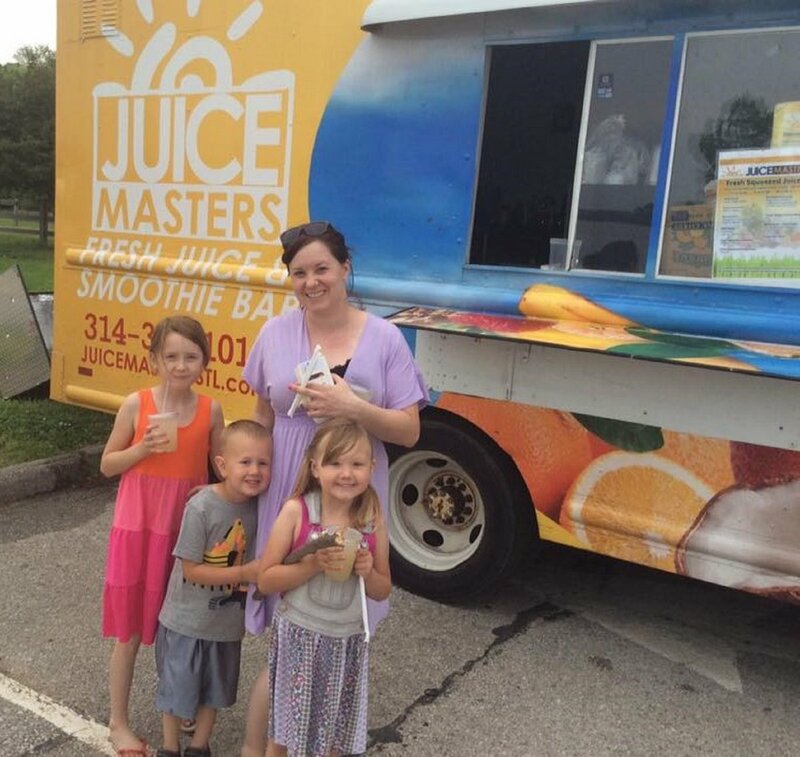 Juicemasters began as a “pen name” for Corey, who had a passion for preparing fresh fruit smoothies. 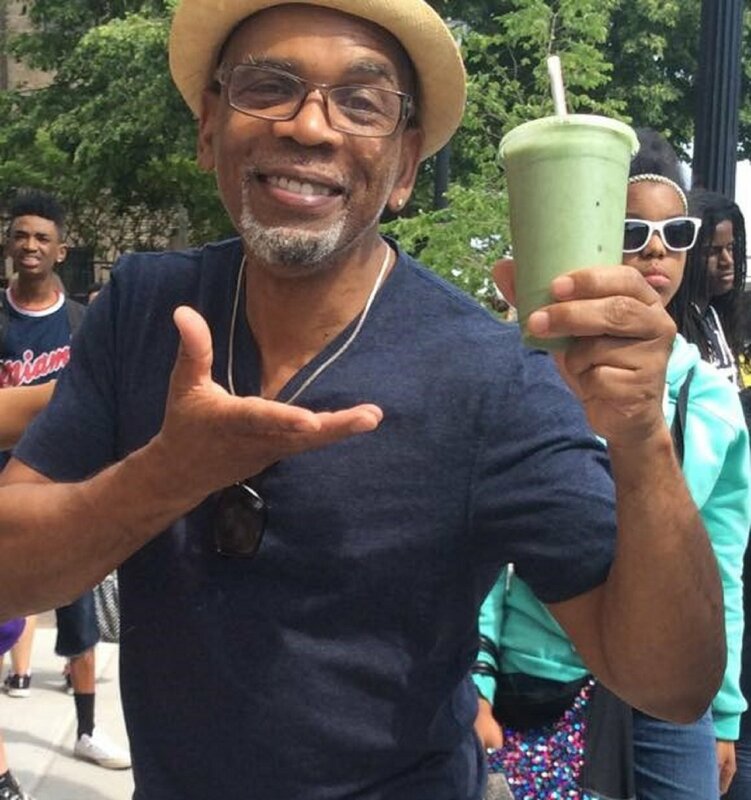 When Wild Oats closed in 2008, he says many regular customers were upset they could no longer enjoy the juice bar. 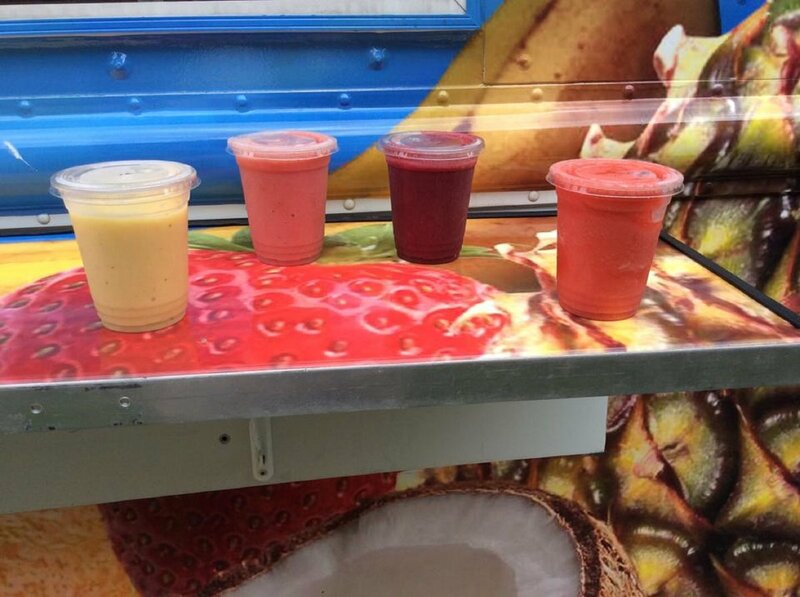 “Some of my fans mentioned I should open my own business serving juice and smoothies, but I wasn’t ready at the time. 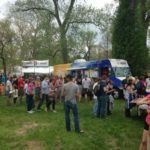 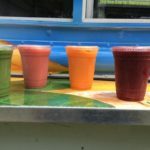 Over the next few years while traveling to other cities, I saw mobile juice and healthy dessert businesses doing well,” he says, explaining that his daughter also motivated him by really wanting a beverage at the Earth Day festival they were attending. 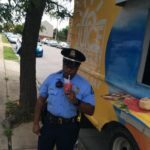 “When we finally found the Icee stand, there was one man and 30 people in line. 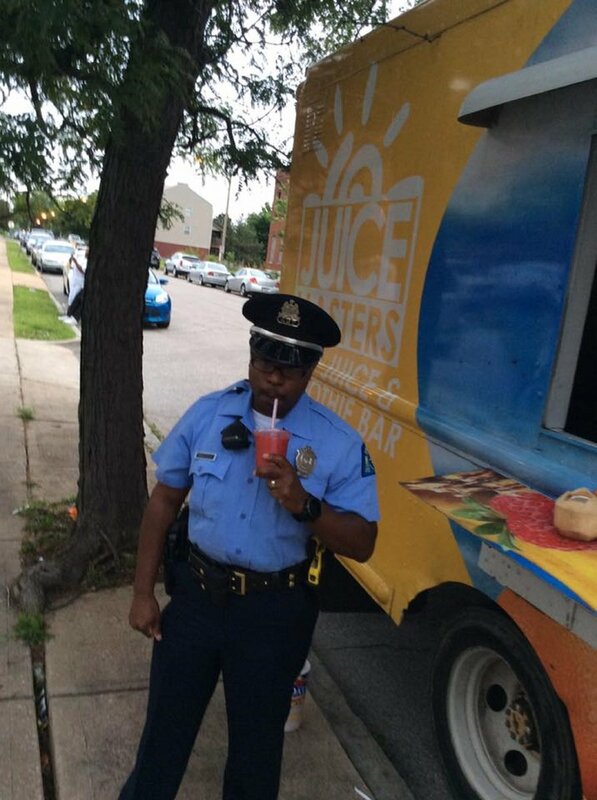 That’s when Juicemasters began. 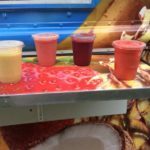 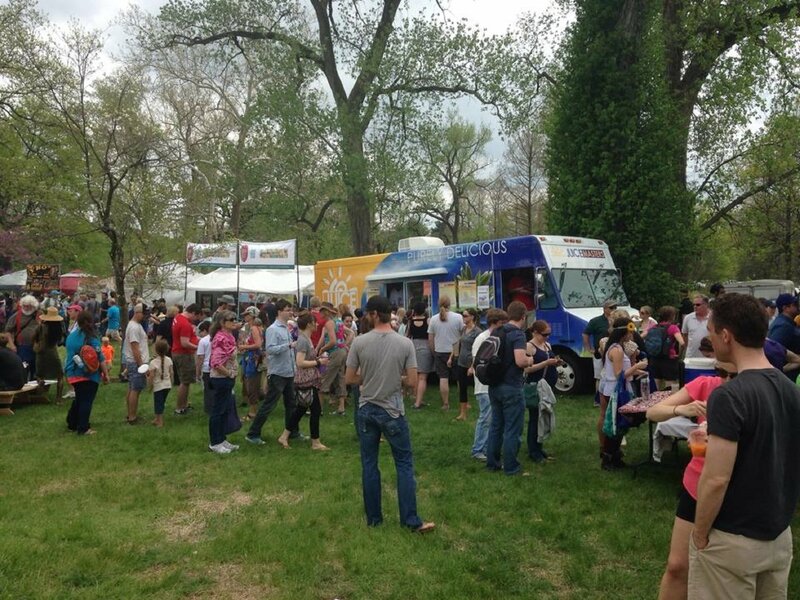 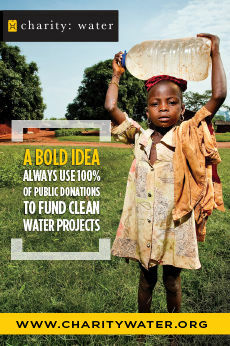 I started making plans for the next event, the African Arts Festival; and eventually the juice truck,” he says. 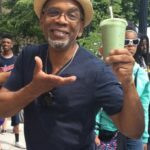 So, in 2011, Corey began vending fresh juices and smoothies at local festivals, such as the African Arts Festival and CHIPS Health Fair. 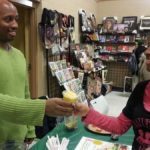 In 2012, Juicemasters grew in its outreach at community events, vending at St. Louis Earth Day, African Arts Festival, the Festival of Nations, the Midwest Health and Natural Hair Expo, Yours Market and Better Family Life’s Kwanzaa Holiday Expo. 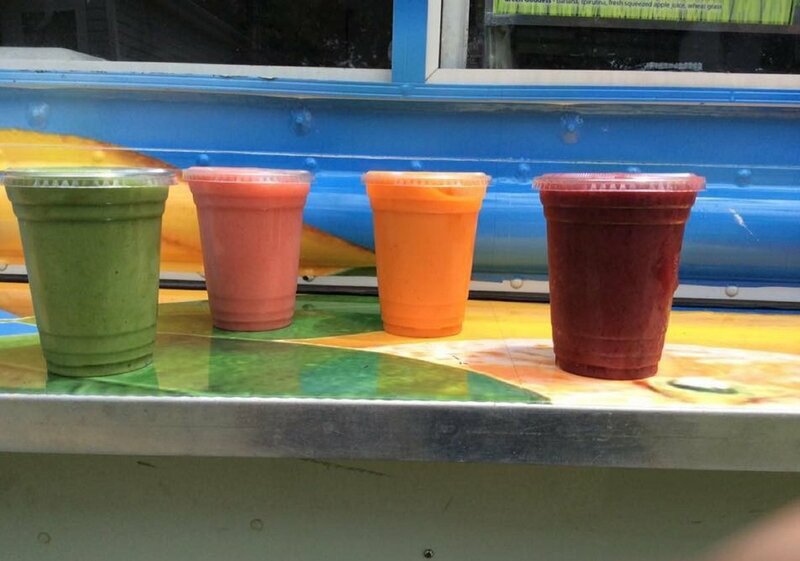 Fresh-squeezed juices include Jazzy Carrot, Apple Waldorf, Lemonaid, Beta Sunshine, orange juice, Liver Tonic, Cucapple, carrot, Green Elixir and Wheatgrass Liquid Gold. Nutriboosters include multi-vitamins, flaxseed, whey protein, hemp protein, bee pollen, Greek yogurt, maca root powder, cacao, fresh greens and avocado. 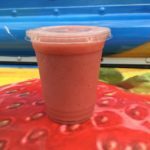 Smoothies range from Strawberry Sunrise, Strawberry Sunset, Mango Colada, Banana Mudslide, Berry Blast, Berry Banana Blast, Mocha Frappuccino, Strawberry Colada and Strawberry Lemonaid. 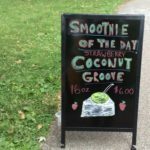 Superfood Smoothies encompass Cacaonut, Coconut Groove, Green Mango Colada, Cacao Green Supreme, Orange Dreamsicle and Green Goddess. 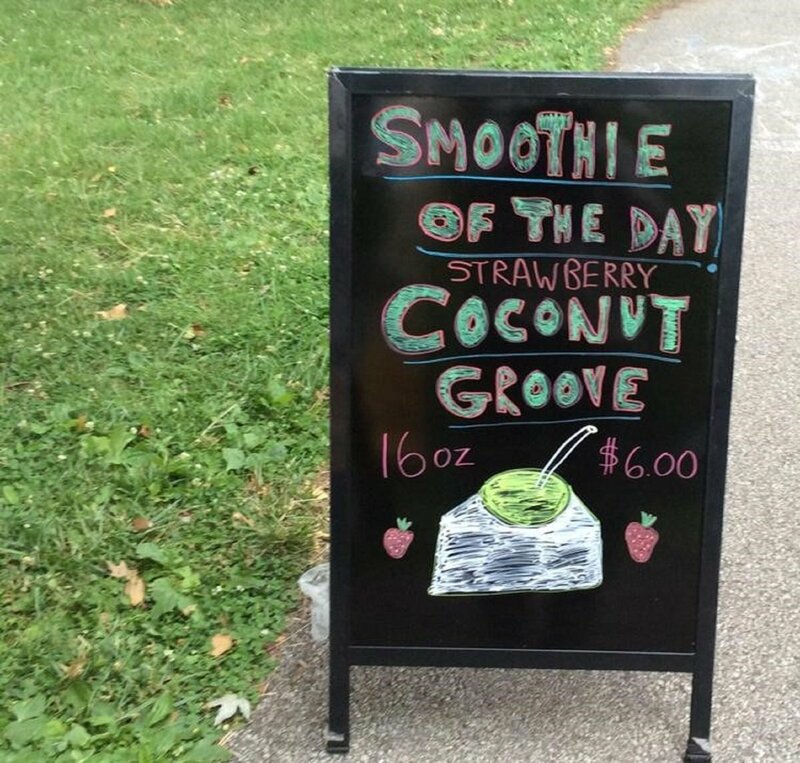 Bowls which are basically thick smoothies topped with granola and fruit. 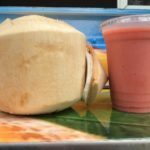 He says he plans to add more smoothie bowls, especially one with chocolate and peanut butter and one with avocado. 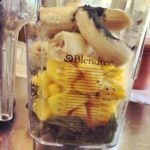 “Also, I’ve recently rediscovered nutrition as it relates to weight management and food, so I want to offer my 2 cents and start a healthy food blog with some of my recipes that have helped me lose pounds,” he says.